Summer Hanford and I work together, but in a way, we work separately. We don’t work in the same room or even in the same state. Most of our discussions are by email. We’ve only physically met twice, and the first meeting was after we started working together and long after we became friends. When many people work on a software program, which is normal in the business world, there must be some way of seeing that it all fits together at the end. Version control in computer programs is more important than in writing. There are even software programs to help. Wikipedia lists 38 of them. A program with many authors who do not coordinate properly will be very unlikely to do what it is supposed to do. It may not even run. A book can be written by two writers who do not use any version control, but it may not make sense. If I foreshadow something in chapter two and Summer decides to eliminate it in chapter ten, the work will not be as coherent. To get to the ridiculous, if one of us decides to change the name of a character, that name change must take place everywhere in the book. We changed the name of a character in The Widow Elizabeth. It happens. Summer and I use a very simple system. Only one of us can edit a particular story. Right now, she has Hypothetically Married. That, by the way, is probably the final title of our next publication. In Hypothetically Married, Elizabeth and Darcy frequently have hypothetical discussions, which often lead to somebody getting married, which explains the title. Summer hasn’t, as I write this, started working on Hypothetically Married. 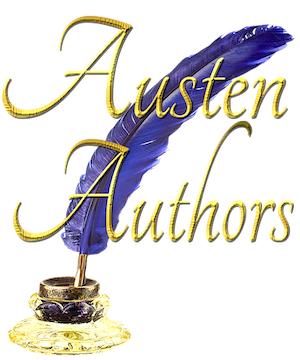 She is writing another Regency Romance, the sequel to The Archaeologist’s Daughter, in Scarsdale Publishing’s Under the Shadow of the Marquess Series. Nevertheless, I should not, by our method of working, make any changes to Hypothetically Married without first telling her. I have my version of The Long Road to Longbourn almost finished. The title refers to Elizabeth who is with Darcy, trying to get home with no money. Wickham is with them as well, which makes it not as romantic as many readers would like. If Summer had nothing to work on, I would send it to her. But I plan to sit on it for a month or two, reread it, and see how it can be improved. The title is tentative, but at least a possibility. Summer likes the title, but she hasn’t read the story. A title is never final until we have both read the story and agree on it. Both Summer and I thus have a story that we are not currently working on. I am working on a file I have named Climb out the Window. That is not the final title. I refer to it to Summer as Climbing. The title refers to Elizabeth climbing out a window to avoid being compromised by Darcy. He was not ready to marry her at that point, but considering how he is courted by Miss Bingley for herself and Lady Catherine for her daughter, it has to be a blow to his ego for Elizabeth to go to that extreme to avoid marrying him. Therefore, I am working on a Pride and Prejudice variation that will come out after two others, and Summer is working on her next Regency romance and will work on Hypothetically Married next. Both of us know what we can work on in our partnership. We have no problem with version control.